First Solar (s FSLR) has become the biggest solar beneficiary of a federal renewable energy loan guarantee program. On Thursday the U.S. Department of Energy announced three loan guarantee offerings totaling roughly $3.73 billion for First Solar’s three photovoltaic power plants in California. First Solar will be using its cadmium-telluride solar panels for all three solar farms and will be overseeing their construction as well. The $680 million loan guarantee for Antelope Valley Solar will translate into a loan of the same amount from the Treasury-run Federal Financing Bank, said Ted Meyer, vice president of corporate communications at First Solar. The second and third loan guarantees are for up to 80 percent of the loans that will be funded by institutional investors and banks, a DOE spokeswoman said. The Desert Sunlight project will get the $1.88 billion in loans (up to $1.5 billion in guarantees) from a group led by Goldman Sachs Lending Partners. The $1.93 billion in loans (up to $1.54 billion in guarantees) for Topaz Solar will come from investors led by the Royal Bank of Scotland. (Topaz was sold to First Solar by the now defunct OptiSolar in early 2009). The three loan guarantees make First Solar the biggest recipient of the loan guarantee program. 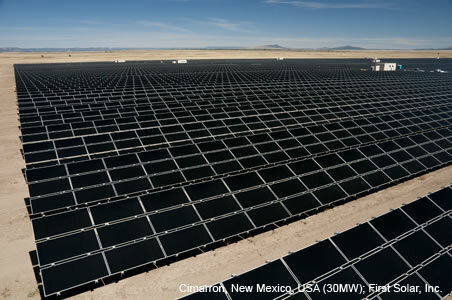 The company is also set to provide solar panels for a fourth project headed by NRG Energy, which has gotten a $967 million loan guarantee offer to build the 290 MW Agua Caliente solar farm in Arizona. The loan guarantee program, called Section 1705, was created by Congress through the 2009 stimulus package to boost job creation and clean power generation. So far the program has offered over $16 billion in guarantees for 15 solar power generation projects, most of which are in California and other southwestern states. Just last week, the DOE announced a guarantee for up to $1.12 billion for the country’s largest rooftop solar project. Through the program, the government promises to repay loans if borrowers can’t. In many cases, it also provides the loans through the Federal Financing Bank. The DOE issues press releases when it has offered loan guarantees to specific projects; but the offers still need to be finalized, and that process typically takes at least several months. Section 1705 is making it possible for large solar and other types of renewable energy farms to get financing. By far, solar has attracted the most government backing (check out this list of loan guarantees). The program also has attracted critics who question whether some recipients deserve the government help and whether the program has indeed created ample jobs. A House energy committee, led by Republicans, is investigating whether the administration did its due diligence when it provided a $535 million loan guarantee — and the loan as well — to solar panel maker Solyndra to build a factory in California. It’s been trying to get the Office of Management and Budget to turn over more documents related to its decision to support the loan guarantee. First Solar has devoted a lot of money and efforts to becoming a solar farm developer in recent years. 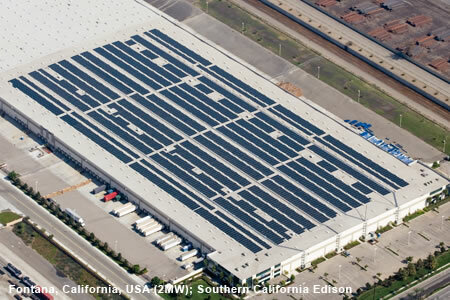 The public company wants to use the project development business, which targets the North American market, to help offset any shortfalls from its main business of manufacturing and selling solar panels to Europe, the largest solar market in the world. First Solar’s shares rose nearly 9 percent to $140.42 per share in recent trading.